With all the franchises that are coming back thanks to nostalgia, the release of “Digimon Adventure tri. 1: Reunion” was of particular interest to me. 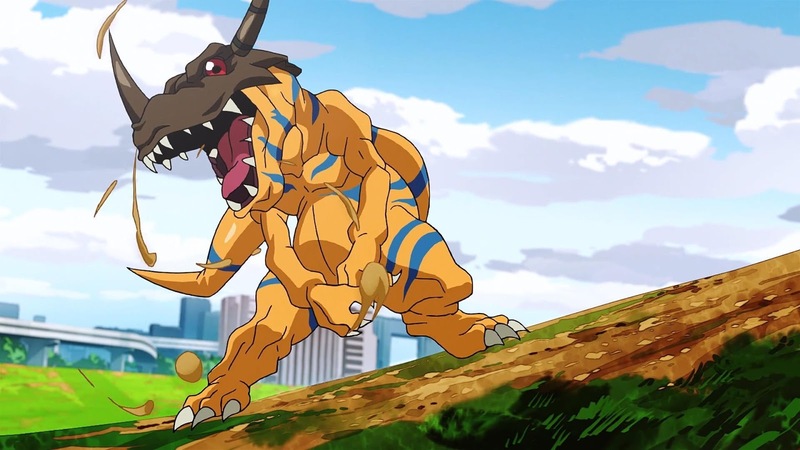 I am not ashamed to admit that I grew up watching “Digimon” when it aired on Fox Kids. You have to understand that this was the generation of Pokémon, and Digimon was seen as a weaker attempt by Saban Entertainment to compete with the (at the time) billion dollar franchise. Pokémon has experienced a bit of resurgence thanks to a show that never ended and a new mobile game that has turned the whole world into a scavenger hunt. Digimon has laid dormant though. Remembered fondly by the kids who grew up watching it who are forced to raise their own kids in a ‘Pokémon World’ (that’s a nerd joke for all you 90’s kids out there). Despite the fact that the series was never as big as the show it was created to compete with, it has been remembered more fondly over the years. Mainly because it was a series that was given way more creative freedom than most shows that were made to sell toys, the creators weren’t told what they had to actually do with the characters they were given, they just had to use them in some capacity. 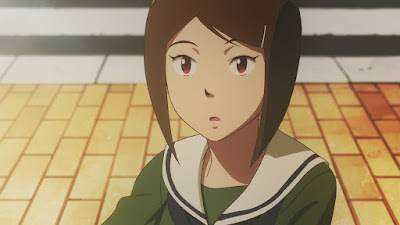 This helped them make a show that had a much better storyline than you would have expected, much more memorable characters, and certain episode directors like Mamoru Hosoda went on to make some modern day classic movies (“The Girl Who Leapt Through Time” for example). All this from a show that was initially considered a failed Pokémon competitor. What I find especially interesting about “Digimon Adventure tri. 1: Reunion” is not that Toei Animation decided to bring the franchise back, but that they decided to make it a sequel that is geared towards the adult audience that has kept the memory of the franchise alive. This is a completely unthinkable thing to do for a franchise that was created to sell toys to children. Yet the franchise – outside of the greenlight – was never developed in a traditional way. 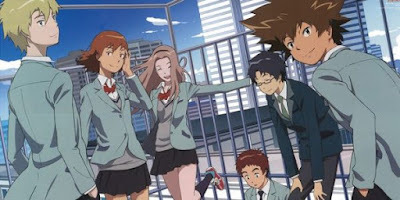 Therefore, when they announced Digimon would be coming back, it wouldn’t be in the form of a TV series, but in the form of six additional feature films that would be released over the next few years. This is essentially the pilot for the new series of theatrical films, and as such I have to review it knowing that there are at least five more movie tickets I need to buy. The only reason this doesn’t upset me as it normally would is because Toei has not only been upfront about this, but the movies will be cut up into TV episodes for streaming services in the future, basically giving people choices on how they want to consume the final product. The localization of the movie is also interesting. The original adaptation may have been a hit with people when they were kids, but pointless editing, changes to the music, and Americanized names have become more of an issue over the years. Those fans now want a movie that reminds them of the old dub but is more faithful to the source material. The solution, it appears, was to create an adaptation that lies somewhere in the middle. The opening theme has been given an updated version of the American rap song, however the rest of the music remains unchanged. The English names have been kept, but the script no longer needs to pretend that the kids are living anywhere other than Japan. What is most interesting is that most of the original voice actors have been brought back to voice their characters once more. For the characters whose actors didn’t return, the new voices are more than serviceable. So, with all that said…what is this movie actually like? 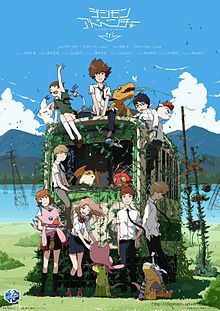 Well, it’s about the Digimon coming back to the real world, six years after the events of the second season, and the kids coming to terms with the fact that they are all older and wiser now, and that things aren’t the same as they used to be. This is also commendable as reboots such as “Fuller House” bring back old properties while pretending the audience who made them successful never grew up. In this regard, “Digimon Adventure tri. 1: Reunion” is lightyears ahead of the competition, as it brings a property back and knows that the world around it has changed dramatically. Right now I am not sure if this can be considered a success as movie though. It’s like a good beginning to a movie, but it doesn’t work well as a complete film. The future installments might make this a little better, but for the time being, we are literally just getting started. And yet…I’m going to give it a passing grade. It goes against my principles, but I really do find the experiment to be interesting, and I am interested in seeing where it goes. And since this is more of a relaunching pad than it is a motion picture, I have to admit…it sort of works. The final product feels like such a logical step forward that it comes off feeling refreshing as opposed to gimmicky. Future movies will have to develop the story and characters better, but this is as decent enough of a start you could ask for, and if you have memories of the original TV show, half the work has already been done for you, so what’s there to complain about at this point? Parents,there is some minor violence and one curse word (sort of). Recommended for ages 8 and up.